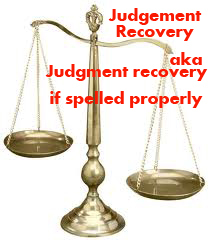 Believe it or not thousands of people spell judgement recovery this way but the proper way to spell judgement recovery is judgment recovery. There is no “e” after the “g”. I was just researching information and discovered that I’m not the only one that misspells judgment recovery from time to time. Okay, that is not why I wrote this article. I just wanted to let my readers know that it is possible to locate bank accounts and assets legally for judgment recovery (no matter how you spell it). We are now able to offer completely GLB Compliant and Legal bank account searches for debt recovery & judgment recovery. If you request this search from our site, the investigator assigned to your case will provide enough information for a judgment holder to levy accounts. Judgment holders simply need to serve the bank with the levy. ABOUT THE AUTHOR: Noah Wieder is President and CEO of Intelligent eCommerce, Inc. and the founder of bestpeoplesearch.com. Bestpeoplesearch is a private investigtor portal and Information Retrieval Services web site where investigators offer searches to businesses and individuals with specific search needs.